The ABC speed and agility ladder improves agility, balance and coordination (ABC). 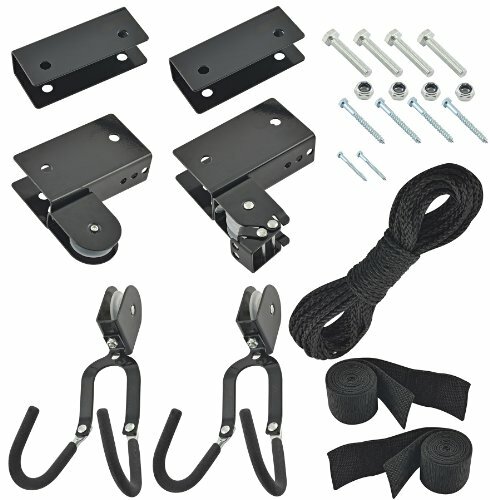 use it as a 10 yard ladder or unsnap it to form two 5 yard ladders or four 7 1/2 foot ladders. The ABC ladder is 10 yards long and 16" wide with sturdy, flat plastic rungs that form 19 squares. Each square is 17" long. The ladder is Great for walking, running, and hopping drills to improving proprioceptive abilities and lower extremity functions. Many athletes and coaches now find speed and agility training essential for all modern day training programs. As used by the Worlds Elite Athletes, this excellent piece of training equipment will help you to Improve on your Acceleration, Quickness, Agility and Coordination. Also learn to React Quicker to Directional Change resulting in Optimum on Field performance. BREAKS DOWN TO TWO 15 FOOT LADDERS. CARRY BAG INCLUDED. Many athletes and coaches now find speed and agility training essential for all modern day training programs. As used by the Worlds Elite Athletes, this excellent piece of training equipment will help you to Improve on your Acceleration, Quickness, Agility and Coordination. Also learn to React Quicker to Directional Change resulting in Optimum on Field performance. Includes: 15 foot ladder and carry bag. 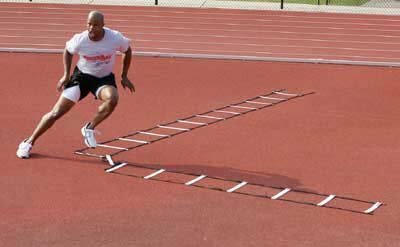 Many athletes and coaches now find speed and agility training essential for all modern day training programs. As used by the Worlds Elite Athletes, this excellent piece of training equipment will help you to Improve on your Acceleration, Quickness, Agility and Coordination. Also learn to React Quicker to Directional Change resulting in Optimum on Field performance. Includes: 6 foot ladder and carry bag. Perfect length to work on quick feet transitioning into a sprint. 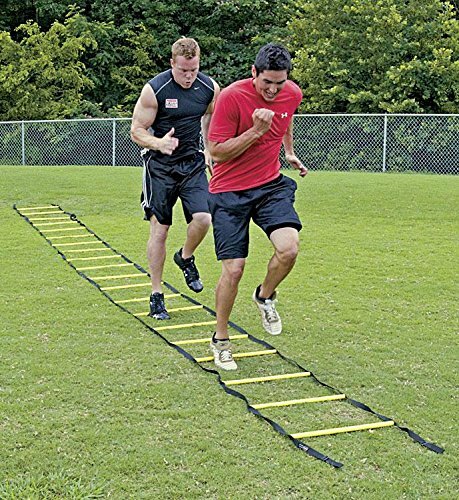 Develop rapid, precise foot strikes and focus with Power Systems' Agility Ladder. The fixed round rungs save set-up time and withstand abuse from cleats and other turf shoes. The 30-foot ladder can separate into two 15-foot sections! Includes carry bag. Ladder is 20 inches wide x 30 feet long with18 rungs. Since 1986, Power Systems' passion for fitness has been fueled by our customers. Power Systems is committed to ensuring people have the tools to lead active lives with professional-grade products, cutting-edge educational materials, and elite customer service. “Power Your Potential” is the philosophy that guides everything Power Systems stands for. 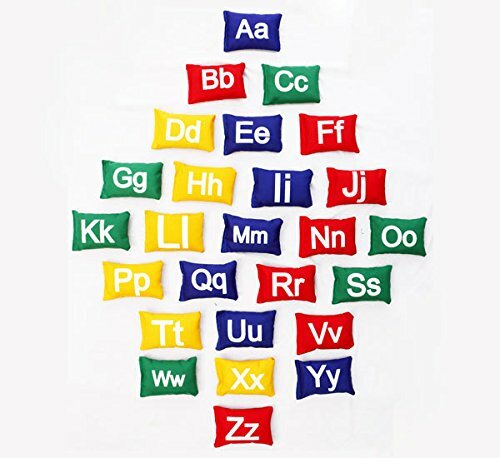 Reinforced drill cotton overlock stitched beanbag filled with soft plastic pallets, help develop alphabet literacy skills. Available in set of 26 pcs (A-Z) in Red, Blue, Green Orange and yellow colors. Measures 15 x 10 cms. Please note: Cintz do not have any distributor and is not responsible for any seller selling counterfeits under this listing. 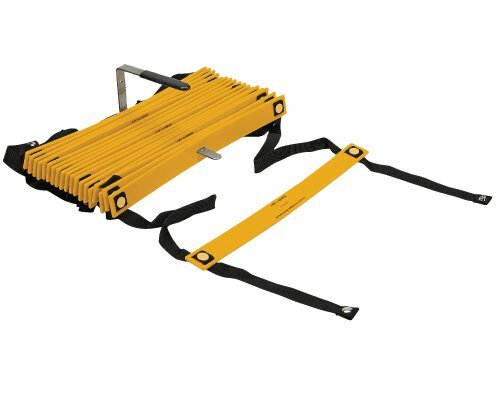 The Gill Athletics ABC Agility Ladder is used by top athletes and teams around the world to improve footwork. Four 7.5 feet sections allow this ladder to be set up in a variety of different designs, making it adaptable for any sport or drill. Set it up with turns or side by side for double ladder foot training. Easy to transport and store. Great for in season or out of season workouts. Product Details: Four 7' 6" sections make it adaptable for any sport or drill. 30 feet total length. Easy to transport and store. Slats are not adjustable. Used by top athletes and teams worldwide to improve footwork. 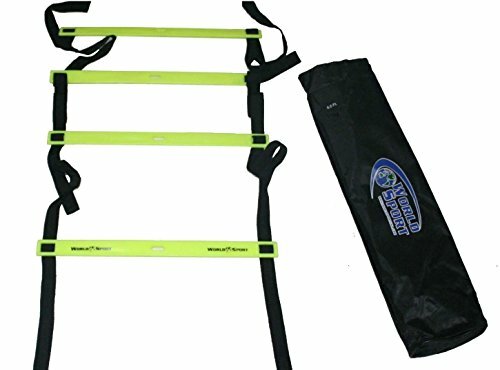 The original used by top athletes and teams worldwide to improve footwork Easy to transport and store A practice tool that can be used daily in season and out of season Easy to adapt to sport specific footwork movementsPlease Note: This item CANNOT ship to P.O. Boxes, APO, or FPO Addresses. It CAN ONLY ship to a Street Address. Looking for more Abc Ladder similar ideas? Try to explore these searches: Kosher Smoked Fillet, Cross Back Tankini, and Page Sticker Album.